When you have a plumbing problem, Honest Plumbing in Arvada is here to help. We also offer advice on how to save money with efficient plumbing and reducing your water usage. With just a few common sense tips presented here, you’ll be well on your way to reducing your water bill. We all depend on water for cooking, cleaning, and showering. We also depend on our toilets to flush. It’s a part of so many things in our lives. Did you know that the average person uses about 80-100 gallons of water in one day? So if you have a family of four, we’re talking about 146,000 gallons a year. So, it’s important to keep your plumbing running clear, clean, and efficient. Some people mistakenly think if you use energy efficient systems it will lower the performance because it uses less energy to run, but in fact, it is the opposite. High efficiency comes with high performance. So good advice is to always let our plumbers install WaterSense labeled fixtures and ENERGY STAR certified appliances. By being more efficient, it can help your family decrease water consumption by 20-30% and save money on your water bills. Hot water is a great luxury but water heaters account for 14-18% of your utility bills. A standard storage and heat pump water heater can usually last between 8-12 years, but the tankless models can last over 20 years. If it’s time to replace your old water heater, buy in an ENERGY STAR certified model to help you decrease energy usage and water consumption which will lower your water bill. Our technicians can put in a new water heater for you. Everyone likes to stand under a hot shower, but the water used in the shower can be almost 17% of your total home’s water consumption. You can either take shorter showers or you can install an energy efficient shower head which can possibly save the average family 2,900 gallons of water per year. We can help you install a new shower head in now time. There are a couple of types of low flow shower heads. The first is the aerating shower head which mixes air into the water in order to maintain a constant pressure while using less water. The second is a non-aerating shower head which uses pulses to keep the water stream strong while maintaining a constant pleasant temperature. One of the largest users of water in your home besides a sprinkler system is your toilet. A standard model toilet uses about 3.5-7 gallons with every flush. Our plumbers at Honest Plumbing can replace your old toilet with a low-flow toilet you may be able to cut your water usage by 25% or more and save you money. Honest Plumbing serving the Denver metro area is here to help you, any time of the day or night with any plumbing problem or emergency that you face. If you follow our tips on how to save money with efficient plumbing, you will also be able to reduce your water usage. February brings cold weather to Denver. So, when you’re already shoveling the driveway, you don’t want to be dealing with frozen pipes, too. In fact, this is one cold weather problem best left to the experts. So, call us at Honest Plumbing in Denver. Our plumbers are licensed and insured to give you the best skilled and experienced plumbers available. If the water in your pipes begins to freeze, it will stop the flow of water and this expanding ice can actually make your pipe burst. When your pipes break it can cause tremendous damage and large amounts of water unleashed in your house can create unhealthy situations like mold. Today, let’s go over a few helpful tips about dealing with frozen pipes. Unless you built your house yourself, you probably don’t know where all the house pipes are located. A pipe can be heated or insulated in some parts of your home and completely exposed to the weather or cold somewhere else. Even if just a small section of pipe freezes, it can cause a pipe to break and that’s a huge problem. Our plumbers will examine your pipes and let you know where your pipes need better protection or repair. After we look everything over, we will use insulation to protect the ones that are at risk and exposed to the cold. 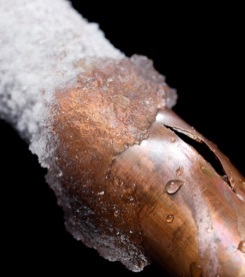 Insulation is a small price to pay to prevent frozen pipes. For most pipes, you will need foam tube insulation, but there may be some pipes in your house facing extreme temperatures. For these, use specially designed heated tape to help reduce your risk of dealing with frozen pipes. If you have a very cold night, you can leave the doors under your sink open overnight. The warmth of your home will help keep those pipes warmer and give some protection from the freezing temperatures. If you have an exposed pipe that you think could freeze, a temporary fix is to let the water in the pipe run continuously. It’s not a great option because it wastes water and if it’s an outside hose spigot it could create a frozen ice puddle. But these problems are usually a better choice than having your home flooded from a broken pipe. You don’t have to turn the water on full blast. Just a little stream of water can often prevent a pipe from freezing. When dealing with frozen pipes, use a hair dryer on it to thaw it. Never use an open flame, to thaw the frozen section of pipe. If your furnace breaks down, your pipes have an increased risk of freezing. You will also and you have no heat for an extended period of time. So, get your furnace inspected and tuned up before the cold weather comes to keep you warm and avoid the potential for frozen pipes. If the worst case scenario happens and your frozen pipes burst, you need to know where the main shutoff value is in your home. Go find the shutoff valve now so when an emergency happens, you will know how to turn off your home’s water supply to prevent major flooding in your home. If you don’t know where your shutoff valve is, our plumbers can help you find it. February is here and so is cold Colorado weather. If you are dealing with frozen pipes, call us at Honest Plumbing in Denver. Our plumbers can help prevent a serious plumbing disaster that worries most homeowners and we can fix your pipes if they break. Spotty dishes? Dry skin? There are a number of signs that you are dealing with hard water in your home. Honest Plumbing in Arvada and the Denver metro area can help you before it turns into bigger trouble that could affect your entire system. Let’s look at everything you need to know about hard water. Basically, it means that the water has a lot of minerals dissolved in it, including magnesium, calcium, iron and possibly aluminum. It’s not a health risk, but it can make your water taste bad. It’s also not good for washing, and it can cause lots of problems for your plumbing. But how do you know if you have hard water? It’s hard to rinse away soap and detergent. You may find your dishes are spotty because soap and detergent are difficult to rinse off. If you have hard water your dishes may have chalky soap streaks and spots. It will also be hard to rinse the detergent from your laundry. Sometimes your clothes will feel scratchy or stiff and may lose their bright clothes quickly. Hard water makes soap scum stick to the tub, tile, and shower curtain. Soft water can do this too, but not as quickly or as much as when you’re dealing with hard water in your home. If you have hard water you will have trouble rinsing off in the shower and perhaps a hard time working up a soapy lather. No, it’s not the new soap you just bought that’s at fault. You may have dry skin because hard water leaves a soapy film on your skin from the shower. The minerals in hard water make it taste bad. It often tastes or smells metallic, sulfuric, or sour. 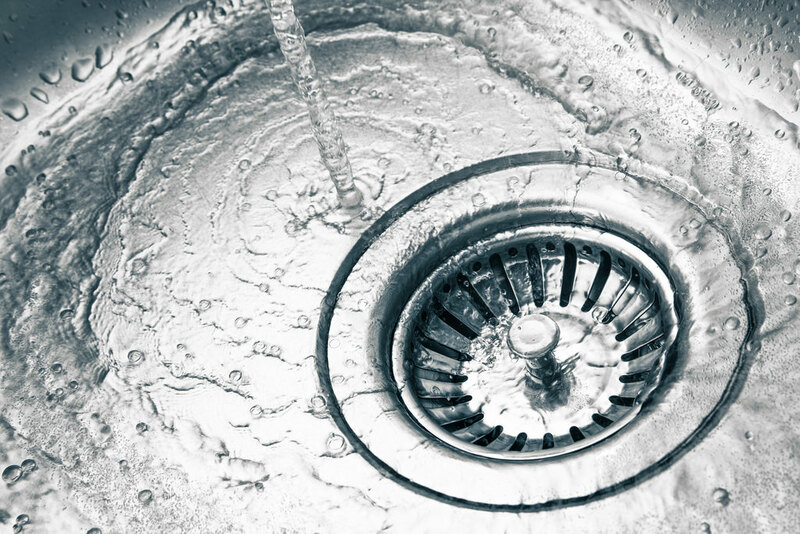 Here’s the bad news for your plumbing, the mineral deposits from hard water ruins appliances, including hot water heaters, refrigerator icemakers, dishwashers, and washing machines, and increases your energy usage. If you have a solar heating system, which is usually used to heat swimming pools, mineral build-up can lead to a loss in energy efficiency. Hard water also causes limescale build-up, which restricts the water flow in your pipes. Over time the minerals will clog the pipes and can lower your water pressure and cause expensive damage to pipes and plumbing fixtures. Sometimes it will even make your pipes burst. As the flow in the pipes get more restricted, the mineral build-up increases. You may first notice it on your shower heads, faucets, and valves. 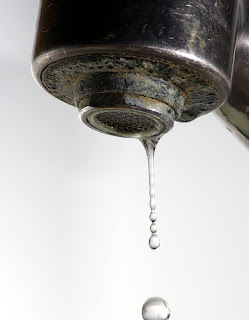 You can even see the build-up on sink surfaces from slow dripping faucets and this can also damage the rubber washers. The valves often found in your various appliances, like icemakers, washing machines and dishwashers can also get scale build-up. Sometimes this causes water leaks. Mineral deposits from hard water can form on the heating elements of your water heater. This can prevent the water from heating up efficiently and make the burners work overtime. The hard water deposits can clog the pipes, valves, and drains of the water heater, shortening its lifespan. 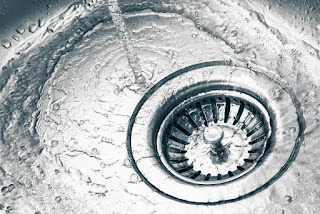 If you are dealing with hard water in your home, our plumbers at Honest Plumbing in Arvada and the Denver metro area can help you with any plumbing problems it may cause. We can also help prevent hard water problems by installing a water softener. Using a water softener can reduce the damage done by hard water and protect your appliances and plumbing. If you live in an older home with smaller pipes, a water softener may be even more important. Give us a call at Honest Plumbing and we can test for hard water and help you fix your plumbing issues.